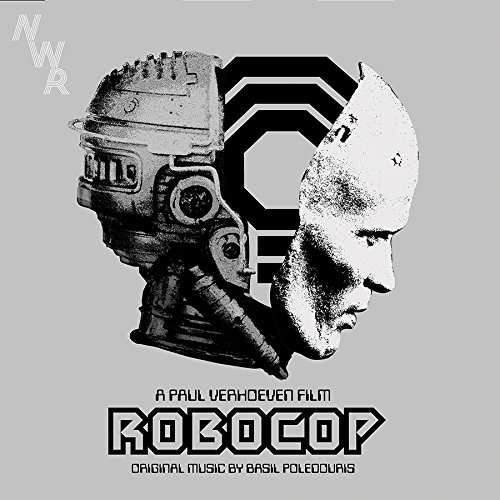 After “Oldboy” and “It Follows” Milan Records and Nicolas Winding Refn have partnered with MGM to bring back to vinyl the cult soundtrack to Paul Verhoeven’s ROBOCOP. The amazing score with its unforgettable theme is composed by Basil Poledouris (Conan The Barbarian). This release is limited to 3,000 units pressed on 2x 180 gm silver/metal colored LP. The original artwork designed by Jay Shaw is presented on a tip on shiny silver gatefold. Each LP is housed in an OCP labelled black sleeve. The packaging also includes a digital download card. That case alone is worth the price and what a wonderful job Poledoruis did.